WASHINGTON (Reuters) - Major U.S. corporations are going to war in Washington over a Republican 'border adjustment' tax proposal meant to boost exports over imports, with lawmakers in Congress coming under pressure from some of the nation's biggest employers. The political split that is opening, most pronounced in the narrowly divided Senate, could doom the proposal. If it dies, prospects for a thorough tax code reform, a top 2017 goal for President Donald Trump's Republicans, would be diminished. Trump, who has vowed to produce a "phenomenal" tax reform package, without recently offering many specifics, has not taken a clear stand on border adjustment. He spoke favorably about it in a Reuters interview on Thursday. The main thrust of border adjustment is to exempt companies from having to pay federal income tax on export revenues, while ending the deductibility of import costs from taxable income. Border adjustment is a core part of a broad tax reform "blueprint" being pushed by House of Representatives Republicans, including House Speaker Paul Ryan and tax panel chairman Kevin Brady. The blueprint has not been put into formal legislation, but border adjustment is already a sticking point. At least eight Republicans in the Senate have expressed concern about it. Several are from Republican-leaning states where Wal-Mart Stores Inc (WMT.N) is a major employer. Wal-Mart is a member of Americans for Affordable Products, a business coalition working against border adjustment. Other members include Best Buy (BBY.N), Costco (COST.O), Gap Inc (GPS.N), Macy's Inc (M.N), Nike Inc (NKE.N) and Target (TGT.N). If the Republican-dominated House approves the blueprint and moves it to the 100-seat Senate, Republicans could lose only a handful of votes and still be able to pass the blueprint. "If it came up today, I couldn't support it," Arkansas Republican Senator John Boozman told Reuters. "That's not to say I couldn't (support it) in the future with modifications." Boozman said he was concerned that border adjustment would raise prices for consumer goods such as cars and gasoline. He said he worried that Arkansas farmers could be hurt, too, if border adjustment triggered a global trade war. Boozman's state is home to Wal-Mart, the world's largest retailer. Wal-Mart and its employees have been among Boozman's biggest backers in 2011-2016, according to data compiled by the Center for Responsive Politics, a campaign finance watchdog. Wal-Mart Chief Financial Officer Brett Biggs, on a conference call with reporters a week ago, said, "The things that are being discussed about the border adjustment tax pose a concern." Republican Senator Tom Cotton, Boozman's Arkansas colleague, has also expressed concerns on border adjustment. "He supports the goals of tax reform and job growth. But he believes that a new tax on working-class Americans is not the best way to achieve those goals,” said Cotton spokeswoman Caroline Rabbitt. Perhaps border adjustment's most outspoken Senate critic is Georgia Republican David Perdue. He has called the House proposal "a bad idea" and urged colleagues not to support it. One of Perdue's top backers in 2013-2016, according to data from the center on its website, has been the Club for Growth, a conservative group that donates large sums to like-minded politicians. Club for Growth opposes border adjustment. 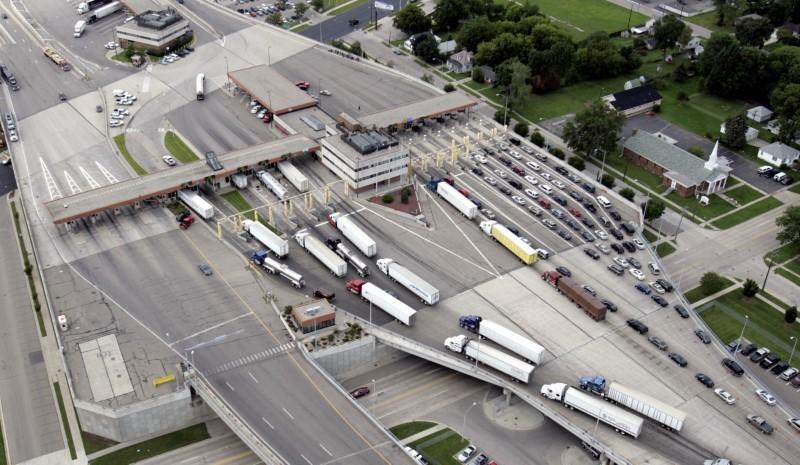 Border adjustment has attracted opposition not only from retailers, but also from oil refiners and automakers. Texas Republican John Cornyn, a senior senator whose constituents include oil and gas firms, as well as companies that do business with Mexico, told Reuters: "If you’re talking about disrupting business models that people have come to depend on, there’s a lot in play and a lot at stake." Chief executives of 16 big companies sent a letter this month to lawmakers urging tax reform including border adjustment. In it, the CEOs said border adjustment would make U.S.-manufactured products more competitive abroad and at home. Since Trump's Reuters interview last week, the White House has sent mixed signals on border adjustment. Trump is scheduled to make a major speech to Congress on Tuesday. "We would be surprised if Trump specifically mentions (border adjustment) on Tuesday night," said Chris Krueger, analyst at financial firm Cowen & Co. in a research report. The proposal "is a 15-round heavyweight fight and we are only in the 3rd round ... It can all end with a single uppercut from Trump in opposition, though that does not seem to be the direction the White House is headed," Krueger said.